A special police team known as REACT arrested 6 people in connected to a ring of alleged credit card thieves, including a mother and her adult son and daughter. 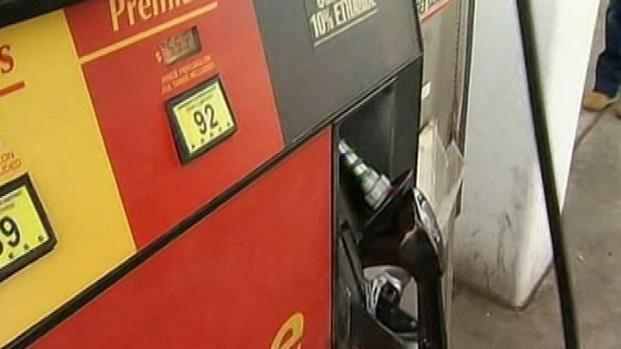 In 2012, The NBC Investigative Unit reported how credit card thieves can steal financial information using Bluetooth enabled "skimming" devices implanted in gas station pumps all over the Bay Area. Investigators say the report raised awareness among gas station owners to change their locks and watch for compromised pumps. "The break in the case," said Santa Clara Deputy District Attorney Tom Flattery, "happened when a gas station owner [in the South Bay] contacted the task force to let them know they found a skimmer on their pump." NBC Bay Area's Jean Elle shows how officials are working to protect consumers when they use credit cards at the gas pump. A two-year investigation led to felony ID theft charges and six arrests in a Southern California-based identity theft organization. The group was allegedly installing skimmers and creating new counterfeit credit cards with the information. The REACT Team, led by Santa Clara DA investigator Marshall Norton and Santa Clara Deputy John Rizqalah, seized 600 fake credit cards along with a kilogram of cocaine and several assault rifles. Some of the weapons seized by REACT. "When they go into the store to use a fake card and the clerk asks to see ID, they have an ID that matches the card," said Flattery. "And these look like the real thing; they do." REACT began its investigation in 2012 when two suspects were taken in by the Gilroy Police Department, allegedly buying Rolex watches with counterfeit credit cards. 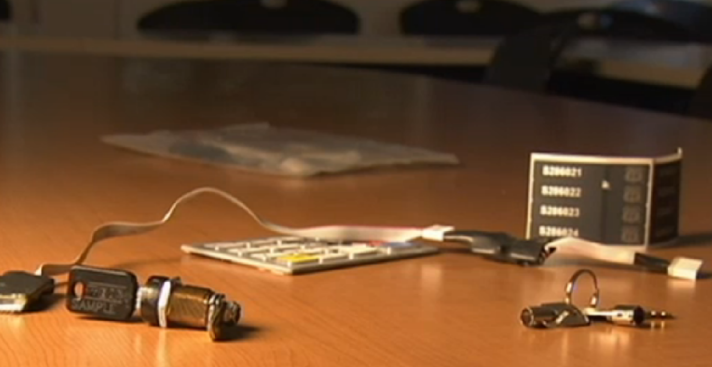 They were identified as having made these fake credit cards with information extracted from local gas pumps. In December 2013, the investigators found two crews who bought over $80,000 in merchandise with counterfeit cards in Sunnyvale. If you have a tip for the Investigative Unit email theunit@nbcbayarea.com or call 888-996-8477. Follow Vicky Nguyen on Twitter and Facebook. The police seized about a kilogram of cocaine along with the weapons and skimming tools.